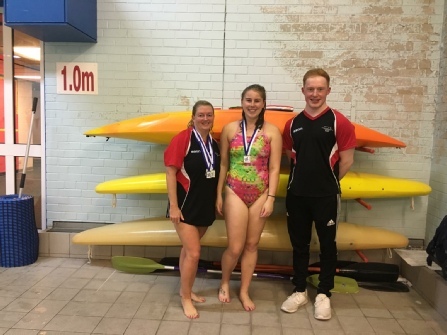 We are a friendly bunch who either used to compete, can swim but need some technique work/need to improve fitness, or need help with some session work to help you progress on your own. We train twice a week and have all stages. 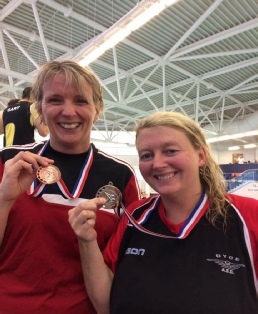 Nobody is left behind and for those who wish to compete, we would be delighted to have you on board as we have a few that do and they enjoy the relay teams especially! 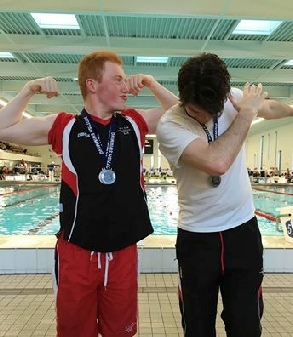 Sean - Silver in 100 brs, Bronze in 100 IM, Bronze in 50 brs and Silver in 100 bc. 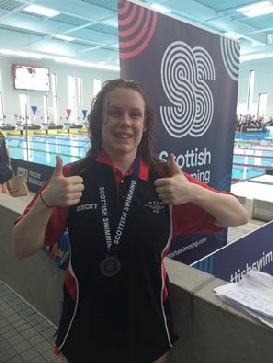 Our two relay teams are teams to be very proud of also, with the Mixed 18-24 team consisting of Lauren Grant, Catherine Leslie, Chris and George winning Silver in the 4x50 medley relay. 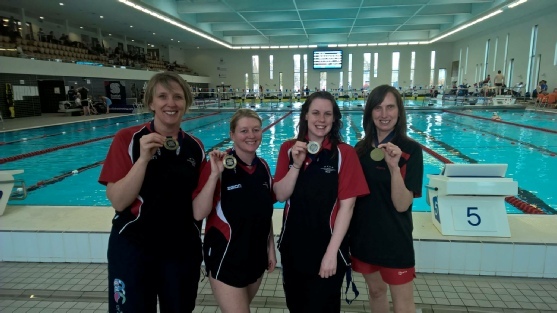 Saving the best till last, our Ladies team consisting of Natalie, Vicky, Jackie and a very reluctant Joyce Murray swam out of their skins to win GOLD in the 4x50 medley relay, and Silver in the 4x50 free relay! 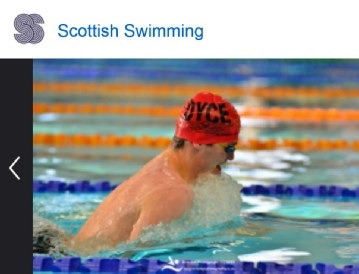 So massive congratulations to everyone, imagine every Dyce swimmer coming away with at least 1 medal! 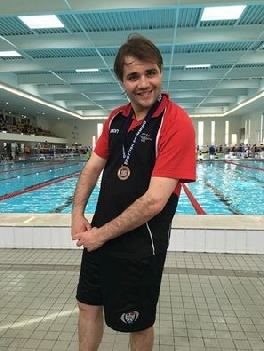 Lets hope this is a big confidence boost for everyone and it spurs you all on to work hard towards the District Masters in August! 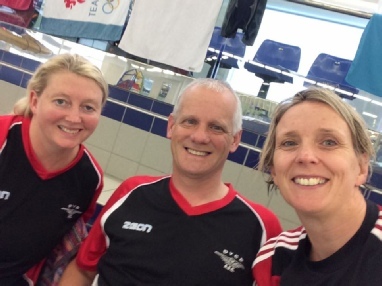 Our Masters sessions are held at Dyce Academy pool on Tuesdays 7 - 8.15pm & Thursdays 8 - 9pm during school term. Sessions during holidays are arranged as extra at other pools when available. 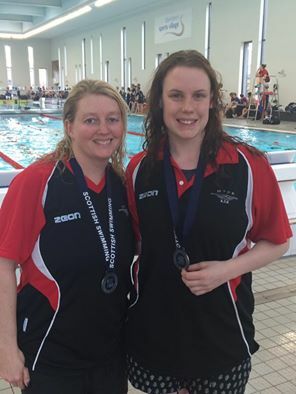 Another successful meet for a small group of our masters swimmers down in Dundee! Unfortunately i wasn't there to coach and witness these successes but i have received good reports from stand in coach Jackie Burnett! Really happy to see you all performing so well with the lack of training you all get! Hopefully spur on some of the other guys to start competing too.